Keep it to the left of the dial. Burnt Dog Radio. Where Different Matters. Cal Poly student-run radio station KCPR 91.3FM first broadcasted in 1968—"How the hell do you turn this on?" were reportedly the first sounds uttered—and it's been going strong for 50 years. Hundreds of students through the decades have embraced, indulged, and nurtured their love of music as DJs. Pop music parodist Weird Al Yankovic is probably the station's most famous alumnus, but comedian Eric Schwartz, reporter David Kerley, KCBX Music Director and Morning Cup DJ Neal Losey, Palm Theatre owner Jim Dee, and music industry executive Bruce Flohr (Dave Matthews, Alabama Shakes, Chris Stapleton) are former KCPR DJs, as am I. What an amazing experience! Next weekend, KCPR will celebrate a half-century on the air with a series of events: The Jim Hayes Symposium on Friday, Oct. 12, will feature a panel of media experts answering the question, "Is journalism broken?" from 7 to 9 p.m. in Cal Poly's Advanced Technology Lab (free and open to the public; RSVP at tickets.calpoly.edu). Also on Friday, Oct. 12, LA indie art pop band Sure Sure plays SLO Brew Rock for the KCPR 50th Anniversary Concert (7 p.m.; 18-and-older; $20 at slobrew.com). BURNT DOG RADIO RIDE LA-based indie art pop act Sure Sure plays KCPR's 50th anniversary celebration on Oct. 12, at SLO Brew Rock. On Saturday, Oct. 13, you can take a look at KCPR's state-of-the-art studio from 10 a.m. to 4 p.m. during a KCPR Open House (Graphic Arts building 26, room 301). From 5 to 9 p.m., attend the Hall of Fame Through the Decades gala event at the Multi Activity Center ($100 at tickets.capoly.edu). As for Sure Sure, they're like four geekishly happy music nerds you desperately want to hang out with. They have a similar vibe to Vampire Weekend or Arcade Fire, or if you want to go further back, they have the same wildly original out-of-the-box creativity as Genesis, Steely Dan, or Talking Heads. They spoke to New Times via phone, from their shared house/recording studio. Their phone number is actually published on their website in case, you know, you feel like calling them up for a chat. "Who do I have on the line?" I asked, expecting to hear from one of the four band members of the indie art-pop act. "All of us," a chorus rang out. "Well, this should be interesting," I said. "I have no idea how I'm going to tell who's speaking." "We'll say our name before we talk," someone said, totally not saying his name. First I asked about what kind of help KCPR had been in launching their band. After all, college radio has a long-established history of breaking bands such as The Smiths, REM, Midnight Oil, and more recently Vampire Weekend. "They've definitely been helpful," said someone who totally didn't give his freakin' name. "The KCPR team came out for us when we opened for Rainbow Kitten Surprise," said another unidentified voice, or was it the same guy? "They helped design a poster and flyered the town," someone else said. "They were essential to the sold-out show," who-the-hell-knows added. This was going just great. Sure Sure, one of LA's hottest new bands, consists of Chris Beachy (keyboardist, singer), Charlie Glick (guitarist, singer), Kevin Farzad (drums, percussion), and Michael Coleman (producer, keys, percussion). They deliver upbeat, quirky, super fun tracks such as 2016's "New Biome," which caught fire on Spotify. In fact, the band has more than 14 million Spotify plays. If you look at their demographics on Spotify, Instagram, and YouTube, what quickly becomes clear is that this band is hot with the ladies! "This is Charlie," Charlie Glick said. 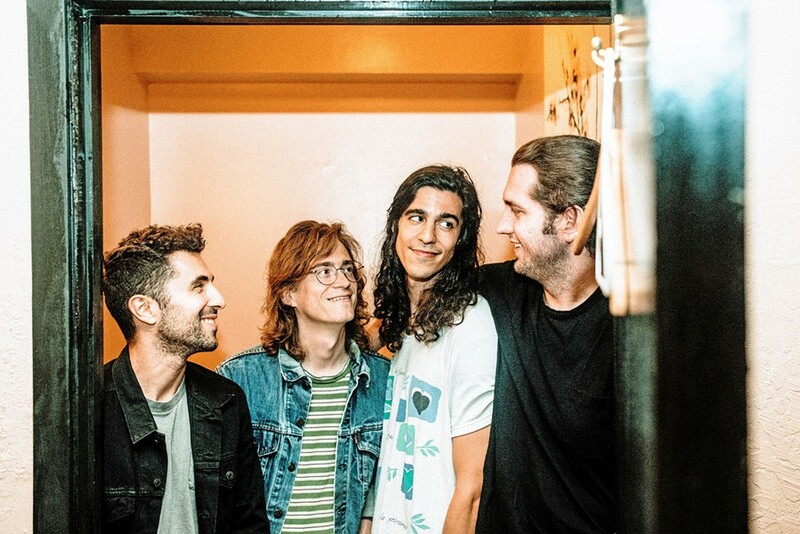 "I think a big part of that was our opening tour with Hippo Campus, whose fanbase is young and female." "This is Chris," Chris Beachy said. "If you think we're hot with the ladies, Hippo Campus is twice as hot." I wondered if they got sick of being together so much since they live, work, write, and tour together, but these guys genuinely like hanging out. They crack each other up, and their sound—synth-driven with falsetto singing, delivering pop and funk earworms—is utterly infectious. Is that sound what they're specifically going for or is that the only way they can write music? "I think it comes naturally," Charlie Glick said. "We do what we do and we don't think about it too much." "When we're writing a song, the idea is to get us excited," said someone who didn't say his name because he was so excited! "Whatever form that takes—big funky big hooks or a huge chorus—or sometimes we're not in that mood and we make a song like (indecipherable)." They all talked so fast and excitedly I couldn't slow them down to figure out who was talking or what they were saying. One of their newest songs is the hyper-catchy "Hands Up, Heads Down," and its accompanying video that features fan recordings of themselves doing the "hands up, heads down" dance, which is exactly as described. I asked the obvious question: What's going to be bigger, The Watusi, The Hustle, The Macarena, or the Hands Up, Heads Down? "History has already shown us that the 'hands up, heads down' dance is the biggest dance craze in the history of history and across all nations," Kevin Farzad—who by the way has a comedic Twitter account with 89K followers—deadpanned. And what about their upcoming SLO Brew Rock show next Friday? "It's going be more lit than ever," someone said. "For the first time, we're touring with our own sound guy, so expect an immersive sonic scope the likes of which has never been seen or heard." This totally sounds hyperbole-free, straight-up legit badassery. Hermosa Beach soul/funk act The Charities and electro-pop artist Paperman opens. Don't miss it! And don't be afraid to turn on KCPR—you might discover your next favorite band. Also, don't forget that this week KCPR's CLUB 91 presents British house music DJ and producer Chris Lake at SLO Brew Rock on Thursday, Oct. 4 (6 p.m.; 18-and-older; $20 at slobrew.com or $25 at the door). There are just two shows remaining in Vina Robles Amphitheatre's concert season, so get 'em while they're hot. 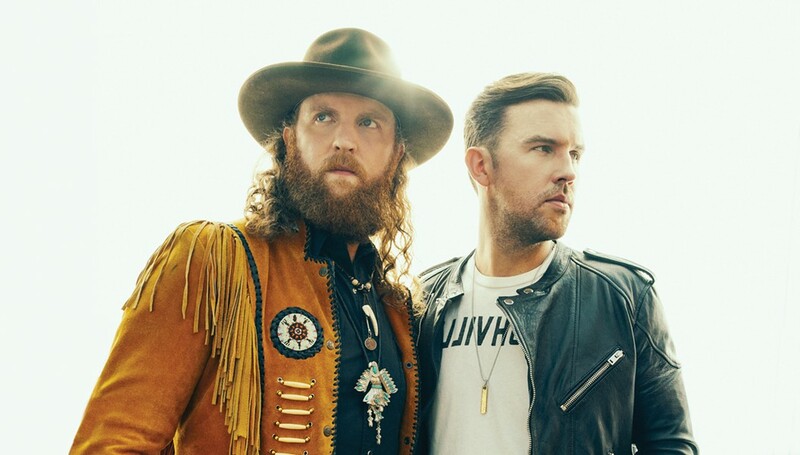 Country rock act Brothers Osborne plays on Sunday, Oct. 7 (7:30 p.m.; all ages; $40 to $50 at vinaroblesamphitheatre.com). NEW PRINCES OF NASHVILLE Osborne Brothers, hot on the heels of their sophomore effort Port Saint Joe, play Vina Robles Amphitheatre on Oct. 7. You definitely need to watch the video for "Shoot Me Straight," in which a couple of copywriters pitch the brothers on their treatments for music video ideas, concluding with one called "Space Force." After the Osbornes—John and TJ—laugh it off, the copywriters incapacitate them, kidnap them, and, using green screen technology, force them to record the video anyway. It's laugh-out-loud funny, and it's a great outlaw country song to boot. Early hits "It Ain't My Fault," "Stay A Little Longer," and "21 Summer," and the new "Shoot Me Straight" off their sophomore album Port Saint Joe, have made these two Nashville's act to watch! Kip Moore closes Vina's season on Tuesday, Oct. 30. Don't forget that Numbskull and Good Medicine Presents is bringing shredding guitarist Ana Popovic to The Siren on Thursday, Oct. 4, with local guitar shredder Travis Larson opening with a solo performance (7 p.m.; 21-and-older; $20 presale at Boo Boo's and ticketfly.com or $25 at the door). DREAM SWIRL Texas hippie rocker Israel Nash plays The Siren as part of his Lifted Tour 2018 on Oct. 11. 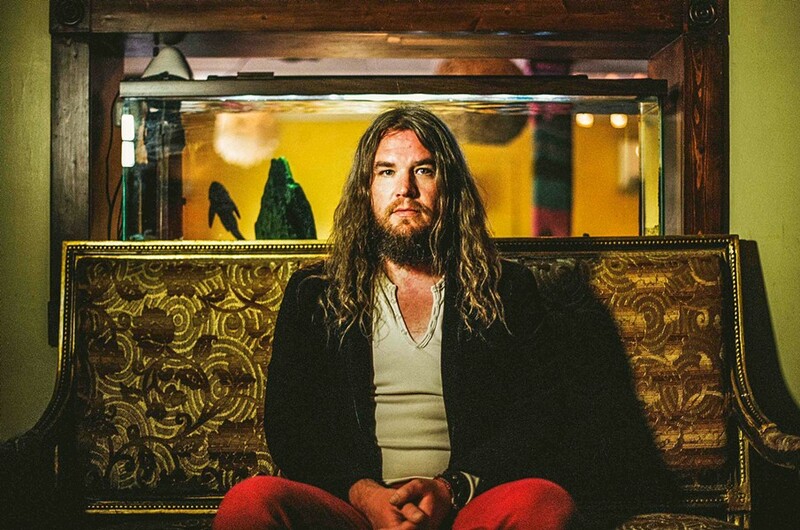 Israel Nash plays The Siren as part of his Lifted Tour 2018 next Thursday, Oct. 11 (7 p.m.; 21-and-older; $10 presale at Boo Boo's and ticketfly.com or $12 at the door). The Texas-based genre-bending rocker is touring in support of Lifted, an album of swirling, dreamy hippie rock tracks. "It was a simple message to myself, to not get stuck in thinking and the past. It's too easy for us to worry about pretty much everything," Nash said in press materials. "I had been down and low for a bit and really had to sing and write those feelings away, give them to the moment and find a better self in the end." The Fremont Theater will host three days of The Central Coast Follies when they present A Little Bit Off ... Broadway on Friday, Oct. 5 (7 p.m.), Saturday, Oct. 6 (3 p.m.), and Sunday, Oct. 7 (3 p.m.) (all ages; $33.17 to $44.90 at Boo Boo's or fremontslo.com). These special song and dance productions by a group of fun and fabulous local women benefit local charities. Over the years, the Follies have donated $369,000 to the Parkinson Alliance. This year they're helping the Food Bank Coalition of SLO as well. 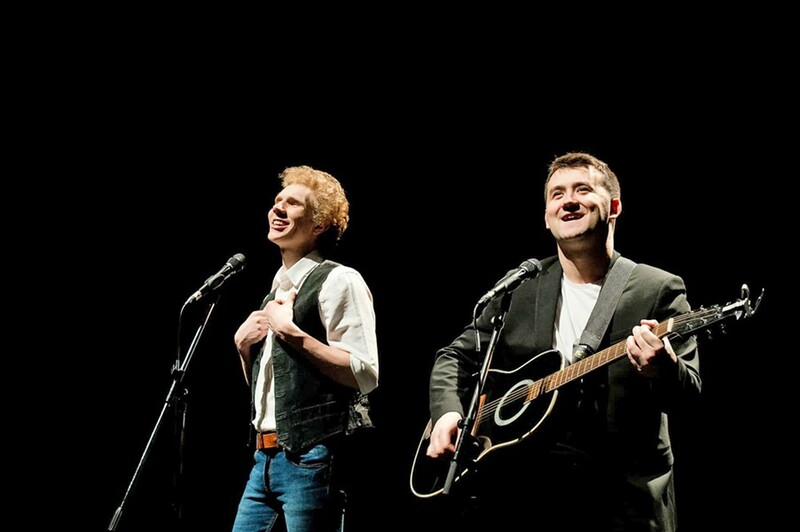 HOMEWARD BOUND The Simon & Garfunkel Story plays the Fremont Theater on Oct. 10. The Simon & Garfunkel Story plays the Fremont Theater on Wednesday, Oct. 10 (8:30 p.m.; 16-and-older; $42.56 to $58.98 at fremontslo.com). "Using huge projection photos and original film footage," the show will feature "a full live band performing all the hits including 'Mrs Robinson,' 'Cecilia,' 'Bridge Over Troubled Water,' 'Homeward Bound,' and many more," according to press materials. Atascadero's Colony Days Tent City After Dark has four great acts scheduled for this Friday, Oct. 5, in front of the historic City Hall. Gates will open at 4:30 p.m., a great time to load up on food and beverages before finding a spot to see opening act Toro Creek Ramblers. 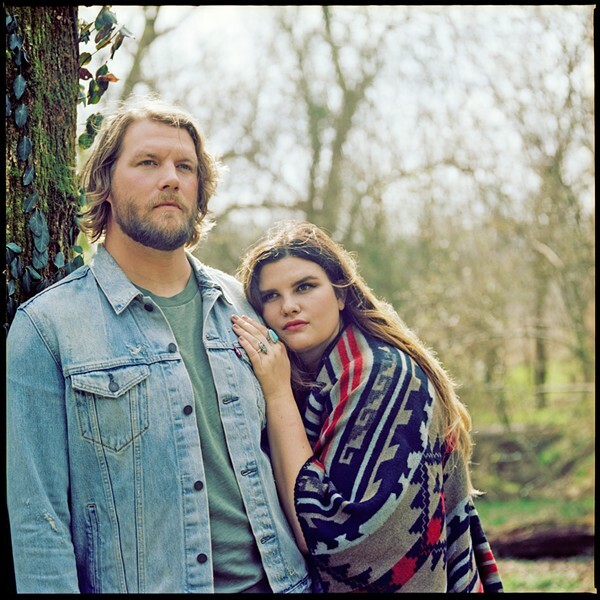 COLONY DAZE Nashville recording artists Carolina Story—featuring Ben and Emily Roberts—headline Atascadero's Colony Days Tent City After Dark on Friday, Oct. 5. At 5 p.m., don't miss the 5-pound burger-eating contest sponsored by Sylvester's (the best burger in the county, in my humble opinion ... no, I'm right!). Amazing acoustic folk pop act Wood is up next at 6 p.m., followed by SLO Town duo Hilary & Kate at 7:15 p.m.
"Tent City After Dark is an amazing combination of good music and an incredible setting," Colony Days chairwoman Karen McNamara said in press materials. "Once the sun sets, the tents and hanging lanterns glow as they did in the original Tent City." Nashville recording artist Carolina Story headlines the show at 8:30 p.m. Featuring Ben and Emily Roberts, the pair embody the blue-collar steadiness and around-the-campfire warmth of Americana music.